What do you think? Is it not beautiful? 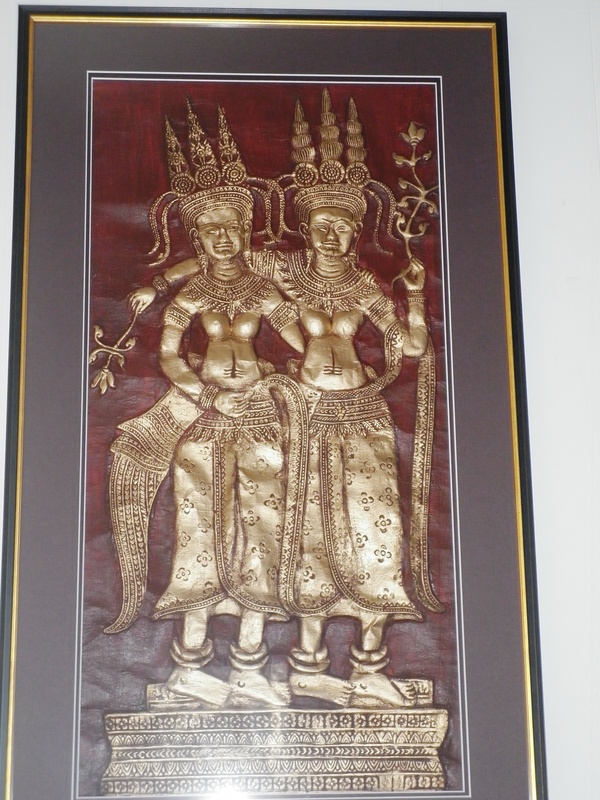 Apsaras are sacred to south-east Asian Hindu and Buddhist mythology. We don’t really have an equivalent concept in our culture, although comparisons have been made to Angels, Valkyries, the artist’s Muse or Water Nymphs. According to Hindu mythology, Apsaras rose out of the Sea of Milk while it was being churned by Gods and Demons to recover the 13 lost sacred things, including the elixir of immortality and the Apsaras themselves. They represent the delights of life, the beauty of things and the sensuality of the physical world. They are beyond concepts of morality, much like beautiful works of art and the wonders of nature are not bound by human codes of right or wrong. 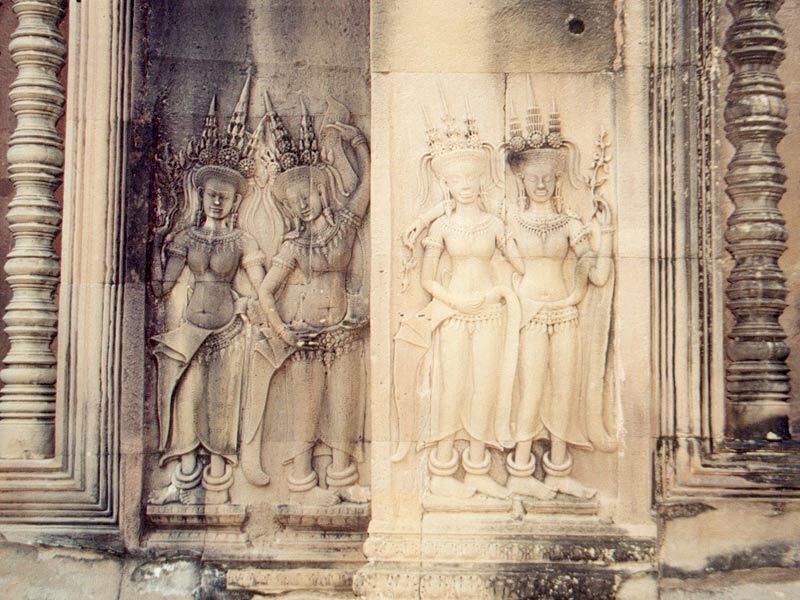 Apsaras are beautiful, female spirits of the clouds and water. As dancers, singers and artists, their role was to create balance between the disruptive forces of the demons who would destroy the Earth and the Holy Men who would prematurely dissolve the world back into the One with their dedicated spiritual practices. There are many stories about them in the Mahabharata; a common theme features Apsaras being sent by Lord Indra (the sky God) to distract and seduce a Sage from his ascetic practices which are threatening the fabric of the world. One of the most famous of these stories is that of Shakuntala (meaning one who is brought up by the birds). Shakuntala was born of the union between the sage Vishwamitra and the Apsara Menaka. Menaka was sent by the God Indra to distract the sage from his spiritual practice – and was successful in her attempts :). Vishwamitra was furious when he found out that Menaka was pregnant; she couldn’t return to Indra’s palace with the baby, and she couldn’t leave the baby with her father, so Menaka decided to leave the baby on the shore of the Malini River. She was found surrounded and protected by birds by a holy man called Rishi Kanwa, and was thus named Shakuntala. The story of Shakuntala goes on to tell how King Dushyanta fell in love with her when he wounded her pet deer. She obviously forgave him, and they married. He left his ring with her as a sign of his love and as a promise that he would return for her. Deep in daydreams of her lover, Shakuntala neglected to greet a visiting sage correctly. Angry, he cursed her, saying that she would be forgotten by the person she was daydreaming about. He later relented and changed the curse to be that the person would only remember her if shown a personal token he had given her. On her way to see the King, Shakuntala lost her ring in the river. When she arrived at the King’s court without the ring, the King did not remember her. Hurt and broken-hearted, Shakuntala took her baby boy Bharata to live a life of seclusion deep within the forest. One day, a fisherman found the royal ring inside a fish’s belly and brought it to the King. The King, astonished, remembered everything and set out to find his beautiful bride. He found her at last in the forest and they were reunited. This story is of particular interest to me: as I mentioned in my last post, my mother used to take my brother and I to a local ashram when we were children. When I was six, I wrote a letter to the ashram’s guru, Swami Satyananda, and asked him for a spiritual name. He wrote back and told me that my spiritual name was Shakuntala. So there. Isn’t that a wonderful piece of synchronicity?